How it is possible for a new player in the Polish ticketing business to capture a massive client like Legia Warsaw? According to TicketCo’s Country Manager in Poland, Tomasz Kowalski, the key factors were the product fit and the product adaptability. “Our co-operation with Legia Warszawa implements a key part of our strategy as company, we want to be a partner of Polish sport and to help maximize fans’ satisfaction,” says Mr Kowalski. “The club has given us lots of demanding tasks, which we will fulfill. The TicketCo platform is helping change the way people experience live sports events, focusing on convenience and modernity via smartphones. All of us permanently use smartphones for making photos, ordering taxis or food. Why shouldn’t we use it to pay for everything we need during a big sports or music event?,” Mr Kowalski added. 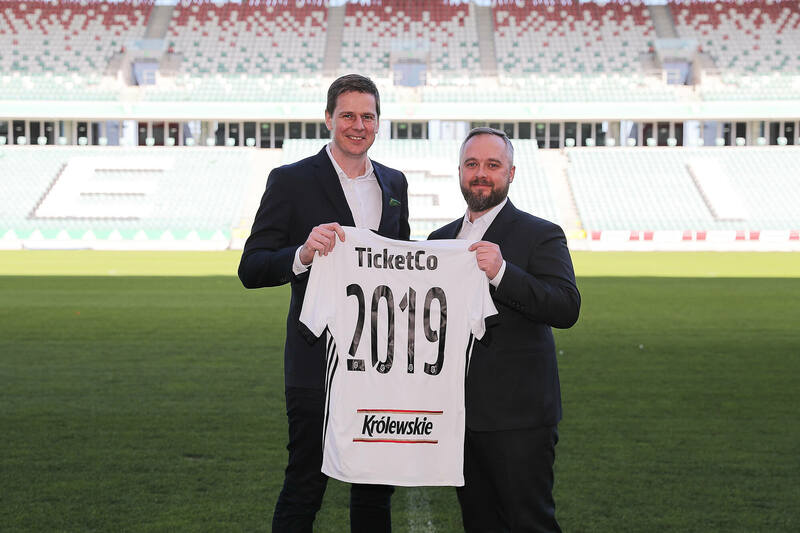 TicketCo CEO Kaare Bottolfsen and his dedicated team of developers are now creating tailored features for Legia Warsaw, enabling the club and all the existing TicketCo clients throughout Norway, Sweden, Poland and the UK to offer a first class service to their ticket buyers as well as gathering detailed and highly valuable customer data. “Legia Warsaw is an exciting club to work with,” says Mr Bottolfsen. “The fact that Legia Warsaw chose us as a ticketing solution, makes us very proud as a company. Our experience so far is that Legia Warsaw is a front runner when it comes to adapting their commercial product to their customers’ needs and expectations and we are looking forward to making life easier for the supporters of such a great club,” adds Mr Bottolfsen. Legia Warsaw, the largest football club in Poland was founded in 1916, it has won the league title 14 times and the domestic cup 19 times, including winning the double last season. The club holds 1st place in the Polish First Division all-time record table and is the only team never to be relegated from the top division.